– The virtual disk utility simulates a real HDD in order to avoid data loss and to facilitate a more comfortable software testing environment. – The ramdisk feature allows users to enhance the speed of the PC. – Full system protection allows you to easily back up and recover your entire operating system when disaster happens. 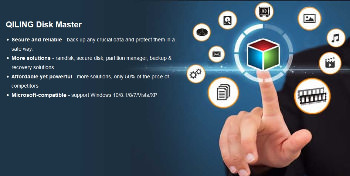 – Fast, easily and safely migrate system to an SSD or a bigger HDD for disk replacement or upgrade.